It seems that for the past several weeks, the only words coming from anyone’s mouth, facebook feeds, or twitter updates had to do with the phenomenon known as Stranger Things. Part throwback to classic horror, and part love letter to the simple days of the 1980s, it’s easy to understand why people have become to enamored with it; it’s smart, self-aware, and wildly entertaining. Stranger Things follows the events of a sleepy midwestern town in the early 80s, the supernatural peril it finds itself in, and how it all comes back around to the disappearance of a young boy named Will. The story branches out in how several characters relate to and experience this disappearance: Will’s family, Will’s close group of friends, and the town’s police chief, who is investigating the mysterious event. As this is happening, one of Will’s close friends, Mike, encounters a strange and frightened young girl who is much more than she appears. I have something of a complicated relationship with Ryan Murphy’s works. I was an avid fan of Nip/Tuck, and followed it through until the very end, and so I knew full well going into American Horror Story the gamut of quality his shows can range through. They can be captivating, in a manic sort of way, or they can fall apart completely, tripping over loose plot threads as they go down. So where does the first chapter of American Horror Story fall? It seems to have a good amount of both the peaks and valleys that Murphy’s shows can create, all in one season. Murder House is the first story of the series, and it tells the tale of the Harmon family in their move from Boston to L.A. The move is facilitated, primarily, by an affair Ben had with a young student of his back in Boston. This causes friction between him and his wife, Vivien, as well as distress for their teenage daughter, Violet. However, once they move into their new house, they begin to understand that what they were running away from is not nearly as bad, or as dangerous, as what they face in their new home. Mary is in a bit of a bind. 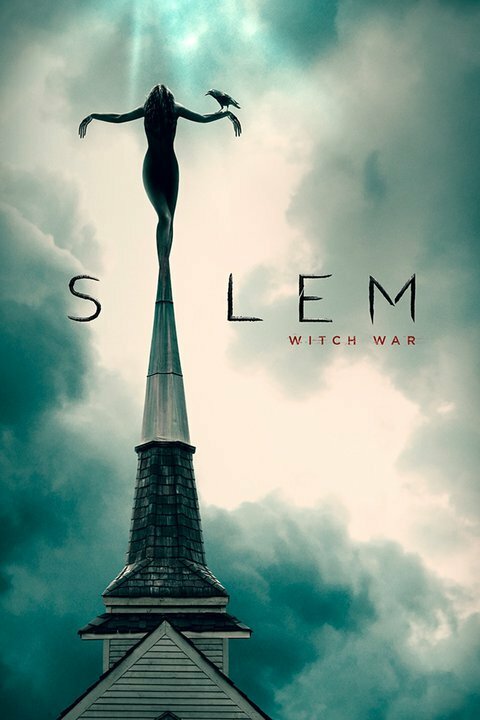 As a woman living under the tight rule in Salem, MA in the 1600s, she finds herself unmarried and pregnant, with the father presumed to have died in the war. So she does what any reasonable Puritan woman would do: she bargains her unborn child to the devil in exchange for power and influence. Years later, she is the head of a powerful group of witches, bent on turning Salem against itself in an attempt to complete the Grand Rite. Oh, and John Alden, the father of her child, returns to town alive and well just as the accusations begin to fly. Darknet is a little gem of a series I discovered while scouring the bowels of the Netflix horror section. With a little further research, I discovered it is a Canadian remake of what was originally a Japanese series called Torihada (which I have not seen, and hope to seek out). Darknet’s run is incredibly brief; at just over twenty minutes a piece, the whole series is comprised of merely six episodes.